Most people who have heard about Kaspersky know that this name is heavily associated to security. It is not a surprise to see that Kaspersky also offers a solution that could in theory replace a VPN. Kaspersky Secure Connection is a product of AO Kaspersky Lab, a company that was established over 20 years ago. Millions of people rely on their tools, which cover everything including home and individual use, with a focus on protection. Although Kaspersky has a strong infrastructure, which could help it to provide an improved VPN solution, it may not be everything that it is meant to be. In this review, we will found out more about it. There are advanced protocol options available with high encryption. The service uses OpenVPN, a strong protocol that is known for its reliability and security. It combines it with AES 256-bit encryption, which means that Kaspersky allows you to enjoy the standard of security that has become a standard in the industry. Kaspersky also supports IKEv2, PPT and L2TP/IPSec, which means that you are secured, no matter where you go. Kaspersky also passed security tests and demonstrated that it doesn’t let any information leak. There were no IP or DNS leaks and no viruses detected. Overall, Kaspersky is a safe solution and it can even prevent WebRTC leaks, which could compromise your information when you are using popular browsers like Firefox. Although this is good news since it means that they are not within the jurisdiction of these spying alliances, Russia still has some monitoring issues of its own. Russia is known for imposing restrictions on the VPNs that operate in the country. Only state approved VPNs can operate the internet is subject to censorship. The government has blocked apps and websites there and it has requested apps like Telegram to hand over information (Telegram refused and as a result it is banned in Russia), which shows that Russia is not exactly a safe location for privacy. Kaspersky has dedicated software for Mac, Windows, Android and iOS devices, which means that there is no need to deal with manual configuration, which can be a pain. However, if you want to use the service on routers, smart TVs or gaming consoles, you will need to use a different option as these are not supported. But they allow up to five simultaneous connections on their paid plans. The installation of the apps is simple, but if you start with the free version and decide to upgrade, you will need to uninstall the free version before you can download a new app for the paid plan. The server locations supported are limited, although they cover Europe, Asia and America. You can connect to servers in Spain, Mexico, Czech Republic, Germany, Sweden, Ireland, Netherlands, Hong Kong, Russia, Canada, France, Denmark, Singapore, United States, Ukraine, Turkey, Japan and United Kingdom. There are no details about the exact locations in which the servers are located in. It is likely that there are is only a handful of servers in each country. There are no servers in Australia or in any country in Africa, which could affect users in these regions who need to connect to a server that offers fast speeds for them. Another thing to note is that Kaspersky may not work for users in every country. There is a list of countries in which the service is not supported. Now, it also has to be noted that the speeds are pretty disappointing and won’t be enough for streaming. It is also unclear if torrenting is allowed since they don’t confirm or deny this anywhere. However, since they mention that there are laws against illegal torrenting and they warn users about copyright laws, it is likely that they don’t support this. It is also worth noting that there is no kill switch available and this is a feature that we would like to see since it prevents your data from becoming exposed in case your VPN connection fails. There are three plans available. The first one is a free option that comes with some data restrictions. You can use between 200 and 300MB of data every day, which is not a lot. Otherwise, you can upgrade to a paid plan that starts at just $4.99 per month, which is a convenient price. The best deal is the annual plan, which costs $29.99 per year. This is a really low price of a full year of service. You can pay using PayPal or cards. However, they don’t accept Bitcoin. There is no live chat or email support option available, although there is a knowledgebase that you will be able to check once you log into your account. There are many options available and it is difficult to look through them. Since Kaspersky offers more than VPN service, it may take you a while to find the right product. You can create a customer support ticket, but you will need to fill an extensive list of options first. The information that you need to provide includes device, app, operating system and app version. Once you fill out the data, you can press Send and allow some time. Kaspersky may have made a name in the field of security, but that doesn’t mean that it can offer a high quality VPN. The service offers the standard of protection that has become a standard in the industry, but the fact that there are logs kept and that cryptocurrencies are not supported, means that it is not a good choice if you want a high level of privacy. Kaspersky also lacks many features that could make your experience more complete and secure. 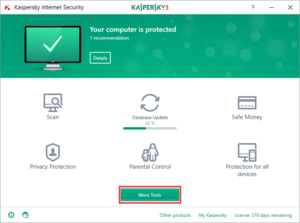 The limited selection of servers and some issues with the connection, as well as slow speeds mean that it is difficult to recommend Kaspersky as a VPN.